While the rice is cooking, melt the olive oil in a large deep skillet over medium heat and saute the onion and celery until tender, about 8 minutes. Add in the garlic, mushrooms, sage, thyme, and salt, and saute another 8 to 10 minutes, until the mushrooms are tender. 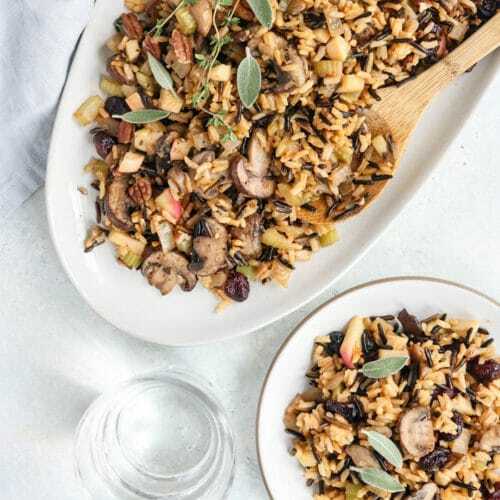 Combine the cooked rice and mushroom mixture, and stir in the apple, cranberries, and pecans, if using. Adjust any seasoning to taste, and serve warm.